Rachel is in the kitchen, warm and safe. Her father is in the trenches, cold and afraid. When Rachel makes biscuits for her father, she adds the love, warmth and hope that he needs. 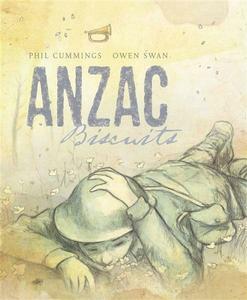 This is a touching story of a family torn apart by war but brought together through the powerful simplicity of Anzac Biscuits.